Thank you so much for considering De Gournay Wedding Cars for your wedding transport in Trowbridge. 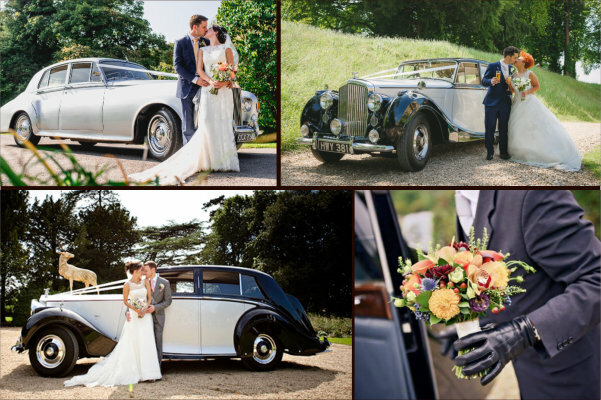 Based just 40 minutes from Trowbridge Town Centre, we are a family business specialising in beautifully restored, chauffeur-driven classic Bentley and Rolls-Royce wedding car hire. With over ten years' experience, we are very familiar with all wedding venues local to Trowbridge, including The Moonraker Hotel, Widbrook Grange Hotel, Homewood Park, Orchardleigh House, Wooley Grange, Court Farm Standerwick and the Best Western Leigh Park Hotel & Vineyard. In addition, we are a preferred wedding car provider to Priston Mill, Wick Farm Bath & Bath's Historic Venues - The Assembly Rooms & The Roman Baths and Pump Rooms.